This last week, we started Christopher on a gluten-free diet. It’s quite a challenge to switch over… I didn’t realize how many foods have gluten hidden inside. Trader Joe’s to the rescue, though, for almost everything I needed. So I assembled a list of a week’s worth of kid-friendly gluten-free meals. Despite summer break, I still have to work every day, so breakfast includes no cooking and needs to be fast. 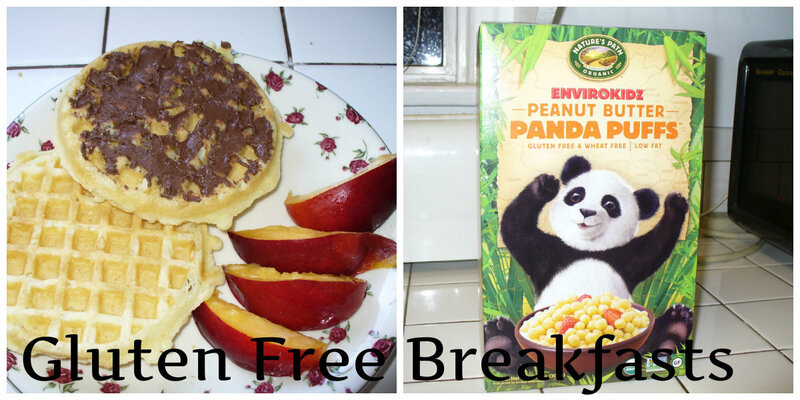 So our breakfasts mainly consist of cereal (Corn Pops is the only one I could find) and gluten-free, wheat-free waffles with some Nutella.